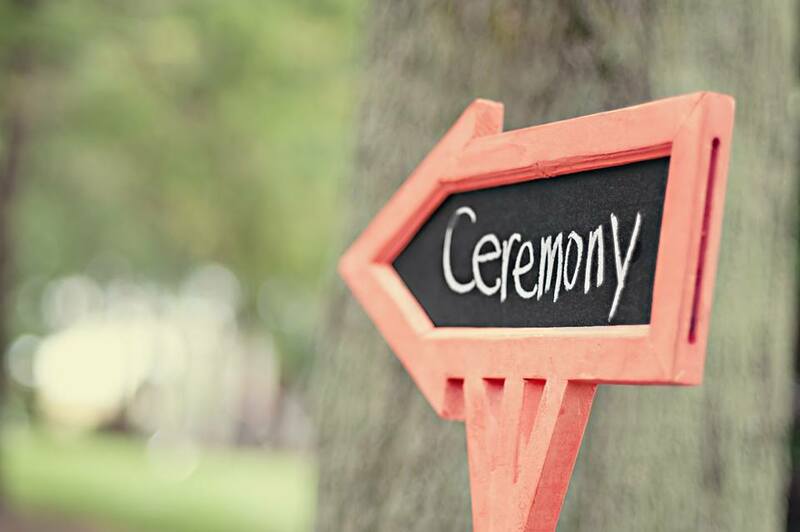 Your wedding vows are the most significant part of your wedding ceremony so it is important to give them some careful thought and consideration. In a personalised wedding ceremony, couples have the option to write their own vows, to offer different vows to each other or to adapt vows from various other traditions. Your vows can be totally traditional or voiced in a format that is all your own. Whatever your opt for, it is important that the vows you choose are a true expression of the way in which you as a couple want to relate to each other in the future journey of your shared lives. To help you focus on the meaning of your wedding vows so that they express your love as a couple, take some time to think about your partner. Don’t be daunted by having to put your feelings into words. Remember, they are your feelings and you can voice them better than anyone else. Ask yourselves these key questions and write your answers down: When and how did you first meet? What do you most admire about your partner? When did you know that you wanted to spend the rest of your lives together? What makes you work so well together as a couple? What made you decide to get married? The answers you write down form a picture of why you love respect and admire your partner. You can add a personal declaration of your love into your vows, if you so wish. To find inspiration and to unleash your creativity, read some beautiful love poems or a classic love story. Gathering quotes from your favourite film, song or book also works. Search the internet for examples of Best Love Quotes, Romantic/Love Poetry and other couples’ wedding vows to help you generate your own creative ideas. You are looking for extracts and ideas that capture how you feel and might work well in your vows. Take notes of the ones you like most to help you decide on what sort of vows you want to include. Are you going to write your vows together or separately? 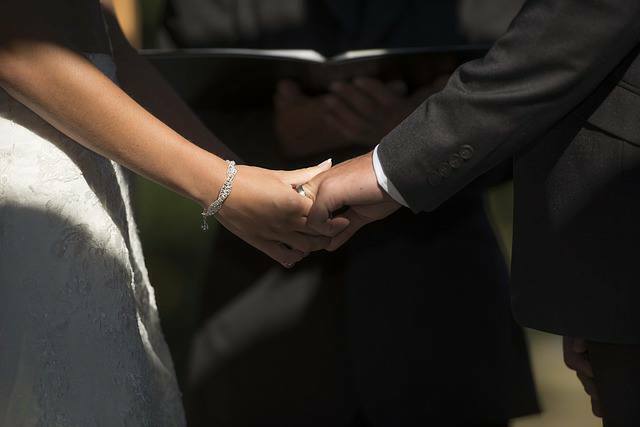 What style of vows do you want – Romantic/Humorous/ Profound/Poetic? Do you prefer traditional vows with each of you making the same promises? 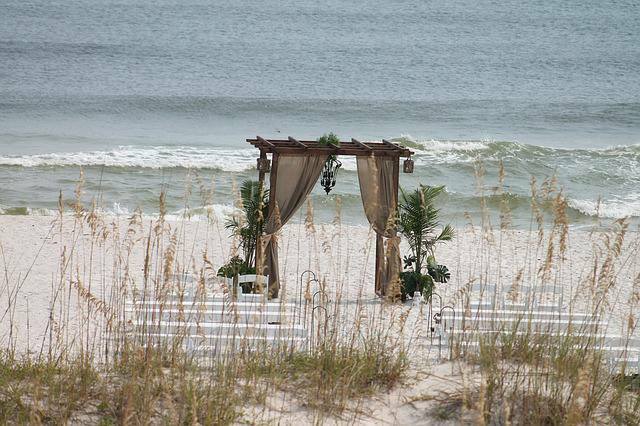 Or, will you each make different promises and perhaps even keep them secret until the wedding day? How long do you want the vows to be? Now you have decided on the style of vows you both want you can move on to the promises. 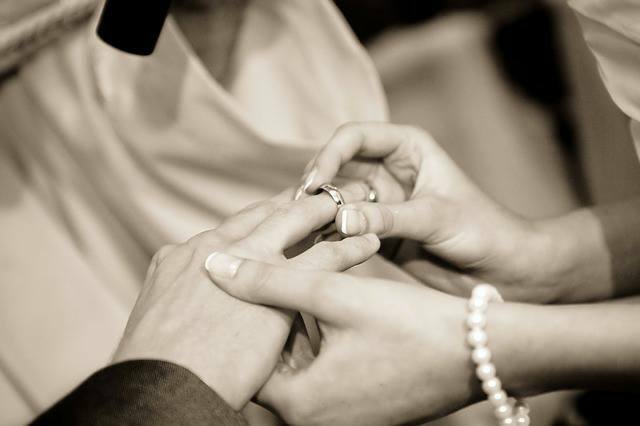 Your wedding vows are your personal promises and pledges to each other for your future together. These promises capture your hopes for the future and what you intend for your married life. Couples often like to include promises that are broad, as well as some that are very specific to the two of you. To help you select your own promises ask the key question: What are your hopes and wishes for your own married life together? You will have lots to say as you think about this and discuss your promises for each other – again make sure to write it all down. Now you need to review and edit your notes until you have narrowed them right down to the three most important statements of why you love your partner and want to spend the rest of your lives together. These are your core promises to each other, spoken in your own words from the heart. Finally, when you have selected and written your vows, and agreed them with your Celebrant, read them aloud so you are able to speak them beautifully on the day. Rehearse, rehearse and rehearse some more!